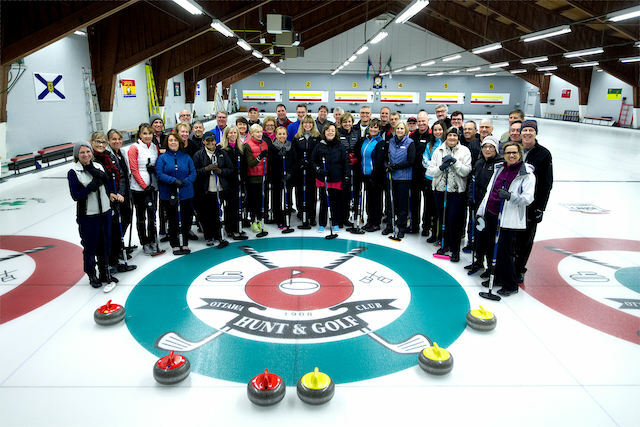 Curling clubs are always looking for ways to attract and retain members, and that can be especially tough for curling facilities affiliated with golf or country clubs, where the pressure to deliver on membership is even stronger. 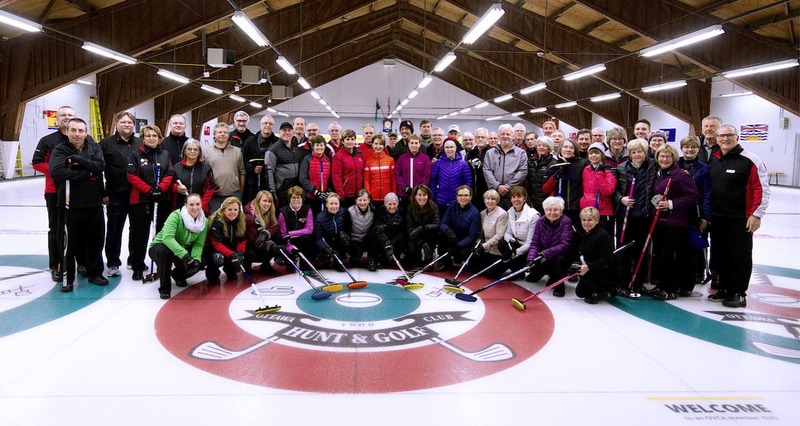 But the Ottawa Hunt Club has found a way to meet the challenge: they’ve taken their successful two-year Learn To Curl for Adults program and added a third year. And it’s working to grow membership and the sport, say program director Doug Kreviazuk and club manager and head ice technician Bill Duck. 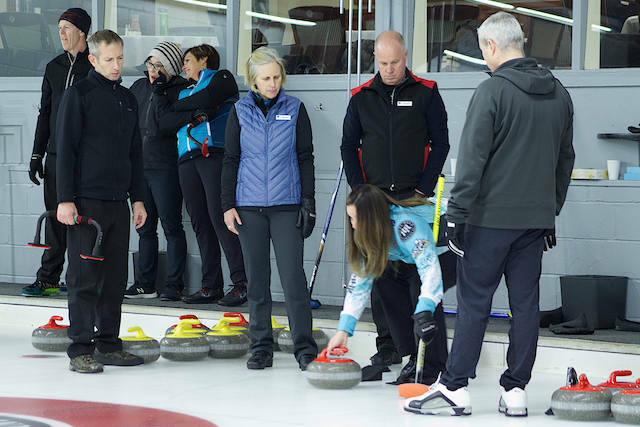 The program was originally developed in the Ottawa Valley by respected curler and coach Earle Morris, (Read more here: Getting Started Sweeps Across the Ottawa Valley) but it has gained popularity across the country and is proving itself an effective tool for getting adults on the ice and keeping them there. The most recent offering of the club’s introductory Adult Learn To Curl program began this October with a whopping 68 participants showing up (an increase from 46 last season). The second-year program – graduates of last season’s Year 1 – consists of 34 participants, some of whom have already signed up for regular men’s and women’s leagues and have become full club members. And Kreviazuk says the enthusiasm among these newcomers continues to grow. But there’s more happening with these new recruits than just on-ice involvement. Which is all great – but the Hunt Club wanted to take this enthusiasm and involvement a step further to keep the momentum rolling and ensure strong membership numbers for the future. Enter the “Want To Curl Better” program, for Years 3-10. 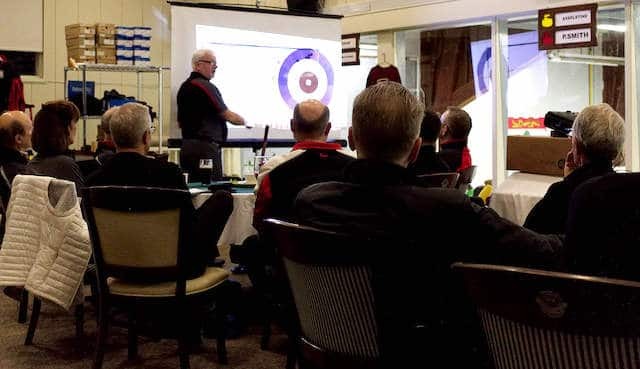 This season, 56 curlers have enrolled in the brand new nine-week program that looks at curling strategy and explores the different ways to call a game, such as whether to use an aggressive or conservative style and the benefits of establishing a game plan for the team. Advertising the new program was a breeze, since most of the participants were already graduates of the introductory programs, so word-of-mouth marketing did the trick. That included highlighting the strong reputation that Hunt Club has already for its curling program and the club’s amenities. “Historically, we have relied upon various forms of newspaper ads, road-side message boards or flyer/mail drops to deliver our message, stir up interest and grow the program,” says Kreviazuk. The short-term extra effort to be selective with promoting the original programs has paid off, he says, because now the club has a strong three-plus-years program, and Ottawa Hunt Club will reap the benefits in the future. Even better, so will the sport of curling. “While a small number of those that try our LTC program leave the sport for a variety of reasons, most continue, but not necessarily at the Hunt Club,” he says. Kreviazuk’s advice for clubs who want to give the multi-year Adult Learn To Curl program a try? Want more information about Adult Learn To Curl programs? You can contact Kreviazuk and Duck directly ([email protected] [email protected]) or reach out to your Member Association for information on how your club can take advantage of this initiative. Find more information about Adult programs on the Curling Canada website, HERE.